Cleaner Blackheath employs a team of professional gardeners in Blackheath SE3. 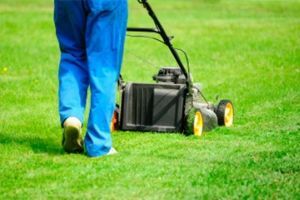 Our gardening services include hedge trimming, lawn mowing and garden cleaning. Every passionate gardener wants their garden to be a neat and pleasant looking place where they can spend the warm evenings, away from any irritating city noises and organise family gatherings. However, maintaining a garden can be a quite challenging task that requires a lot of time, knowledge and last but not least the right tools. Every plant has its individual needs and failure to satisfy them results in withering. Arrange us for keeping your garden in an excellent condition all year round and we won’t let you down. Our experienced, professional gardeners work every day in Blackheath. Cleaner Blackheath have been providing professional gardening services in all London areas for such a long time that now, we know how to meet the demands of every client. Our gardeners are not randomly hired people but thoroughly trained and certified experts who can create beautiful shapes out of any formless plant. We take pride in being a reliable provider of various gardening services and meeting the demands of every customer. What’s more, we make the gardening activities effortless and pleasant. Our gardening technicians wouldn’t mind working under your supervision. If you have any idea in mind, don’t hesitate to discuss it with them. Book with us now because we have this special offer only for a limited period of time. Don’t miss to take advantage of a great gardening service at the best price in the region. Booking with us is fairly easy. There is nothing special your are supposed to do. You just have to get in touch with our friendly call centre representatives and schedule your gardening service in Blackheath at a day and time that best suits your availability. We guarantee that we are prepared to change your attitude towards the professional gardening services. You will get the top quality you expect without being charged a fortune.